EXECUTIVE ELEGANCE AT AN AFFORDABLE PRICE! Perfect home, perfect location! 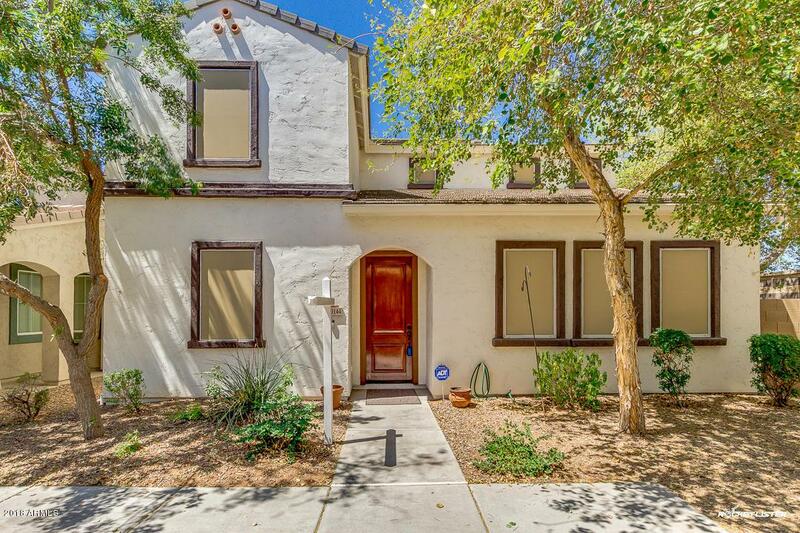 This absolutely stunning home boasts 4 bedrooms and...imagine...3 FULL baths!! Gorgeous newer wood floors on the main floor except downstairs guest bedroom (new laminate)! 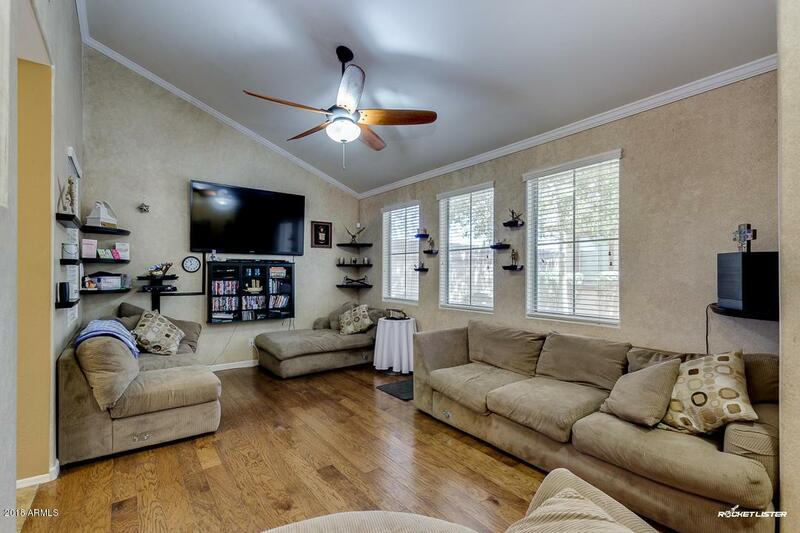 The family room is expansive and is a Tranquil Headquarters for your family, designed with the whole family in mind!! 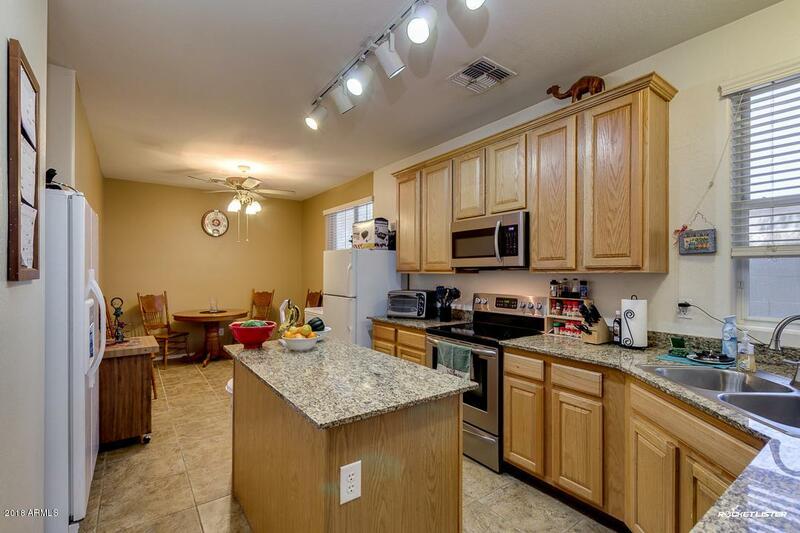 The efficiently designed light and bright kitchen is truly a chef's dream, boasting stainless steel appliances (except refrigerator), kitchen island, granite counters, upgraded 42'' cabinets, large pantry and plenty of room to move around in! The downstairs bedroom has a ceiling fan/light and mirrored closet door with new wood-laminate flooring. Upstairs is the loft that boasts room for every family members' activities! Thewell-appointed master bedroom accommodates even the most lavish furnishings with a matching luxurious master bath with dual sinks, tub/shower combination PLUS a separate shower (YES-2 SHOWERS!) and a walk-in closet to ABSOLUTELY DIE FOR!!!! Your little ones will LOVE the guest bedrooms! 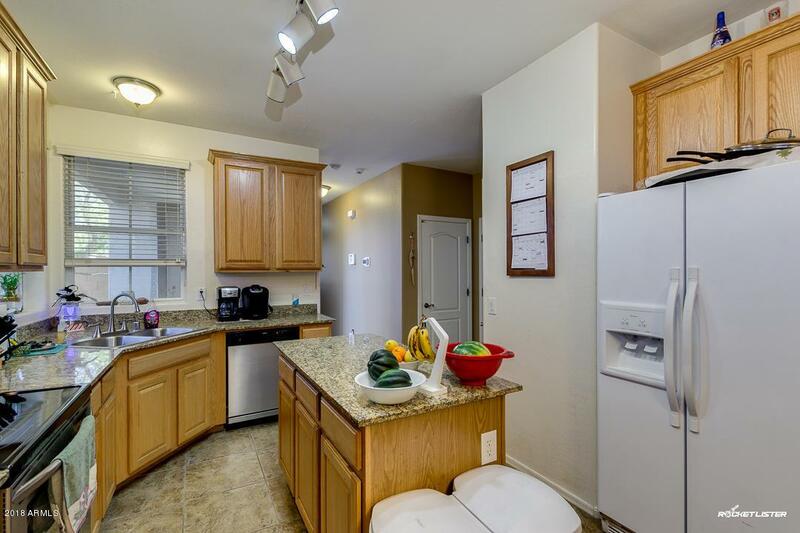 They all have ceiling fans for year-round comfort, mirrored closet doors and newer carpet! The solar system is PAID FOR and you can opt to have an electric bill that costs close to nothing! Air ducts are sealed. Let your skin and hair enjoy the benefits of the water filtration system " your spa at home (convenient AND inexpensive)! Solar Power & Water Heater! Dual pane windows, sunscreens and Radiant Barrier in the attic that reflects heat! Motion solars! Garage door is insulated! Your family will enjoy the big (mile) nature trail, parks and playgrounds! Happy Living Starts Here For Your Family!! !